Is Carrier IQ really that big of a threat to your privacy? It seems like you would still get a different answer to that question, depending on who you ask, which is probably why the company behind the controversial software published a detailed report explaining the modus operandi of its product. Although the report does not contain any Carrier IQ facts that can be seen as direct privacy threats, the company admits that text messages do get collected in certain, yet rare circumstances. In particular, that happens when a text message interferes with an ongoing call or a data session. However, the company states that it is working on ironing out this glitch, and that the actual content of the text message cannot be read as it is encrypted. Furthermore, multimedia messages, e-mail, and web site data is not recorded, according to the report. Another issue that the report addresses are Trevor Eckhart's accusations that Carrier IQ logs unencrypted user data on Android devices. According to the company behind the software, Trevor's conclusion is inaccurate as it is based on analyzing “debug messages from pre-production handset manufacturer software.” Once the phone is activated, debugging messages get turned off, thus posing no risk to a user's privacy, as the report clarifies. So, Carrier IQ may not be that scary as it once seemed and its alleged eavesdropping abilities could be nothing but fiction after all. 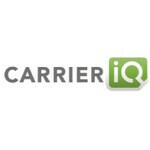 If you are interested in learning more about Carrier IQ, the entire report is available as a PDF document at the source link below. Because you are no CarrierIQ's customer. The carrier installed and utilized the reports coming from CarrierIQ. And as the carrier's customer, you agreed to their Terms of Service. Let's use AT&T as an example. In their ToS we have the following fine print: 3.1 My Device "We may periodically program your Device remotely with system settings... ...most appropriate for your typical usage, and other features that cannot be changed manually." **the kicker** 3.6 Can I Use Location-Based Services With My Device? "AT&T collects information about the approximate location of your Device in relation to our cell towers and the Global Positioning System (GPS). ******We use that information, as well as other usage and performance information also obtained from our network and your Device, to provide you with wireless voice and data services, and to maintain and improve our network and the quality of your wireless experience. ****** We may also use location information to create aggregate data from which your personally identifiable information has been removed or obscured. ****** Such aggregate data may be used for a variety of purposes such as scientific and marketing research and services such as vehicle traffic volume monitoring." Obviously, CarrierIQ is a tool that AT&T, Sprint and T-Mobile have chosen to use. Now, I know VZW doesn't use CarrierIQ, but certainly they have a similar provision as does Sprint and T-Mobile. This clause, or something similar has been logged since the days of the original "flip phone" in the 90s. @nuadar1 - several folks have chimed in about HTCs ultra-invasive data collection, a tool of the Sense UI in their Android phones. There has been nary a peep from anyone. That was revealed to be quite a potential security hole. Of course, we're talking Android which basically *is* a security hole. Folks even only got "a little" mad when it was discovered how Apple tracked usage and location data. No one tilted their head when Apple explained, "the software program isn't supposed to store that data for a year"... :-/ So, I'm genuinely wondering why this element is any different from the multitude of other news that's been reported about location based services. You think Facebook, Twitter, FourSquare, and Sony take their security seriously? We all know what a joke privacy on Facebook is. FourSquare is all about announcing where you are and where you've been and posting that on the internet (that never goes away), Twitter is arguably worse it's all about logging and keeping forever whatever you say. Sony had their gaming network hacked. Here is CarrierIQ, quietly reporting telemetry back to their carrier customers about network performance and hardware performance on that network...suddenly everyone is a student of the Constitution. Will anyone believe in this? If it was harmless for our privacy why they didn't said this to us?! I mean, Carier IQ will do anything to give proofs that they had doing a good thing, because they are guilty, end of story. They're lying to us! GO AWAY.